Jan 26 Would you wear bananas? We all love to eat bananas in general, as it is the best companion for almost every dessert. But have you ever considered wearing them? Josephine Baker, an exotic dancer of the early 20th century, used whole bananas to create her high profile risqué dance costume. Thankfully, technology enhanced and people found their way to make eco-friendlier methods by using banana fibre. 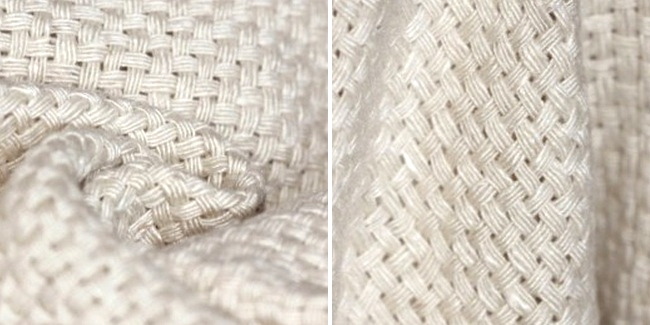 This natural material has in fact been used in Asian cultures in Japan and Nepal for hundreds of years way back. Kijōka-bashōfu – the Japanese custom of banana fibre weaving – dates back to the 13th century, when it was used to create beautiful kimonos. The material is ideal in hot and humid climates, as it is lightweight and quickly absorbs perspiration. In Nepal, a traditional method is employed to turn the silk-like fibres into artisan rugs. 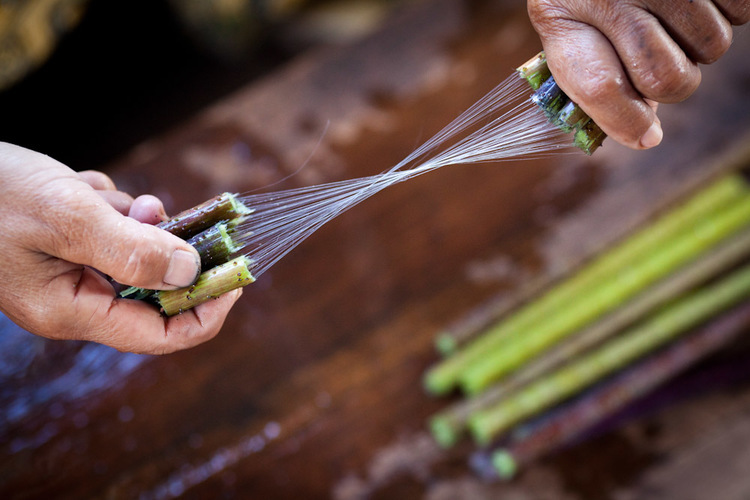 These cultures still practice the same time-old techniques, but nowadays the fibres from these wondrous plants have copious textile uses. In the modern world today, many designers are in fact slowly shifting to this material to help the environment. Filipino designer, John Herrera, turns heads with his daring and innovative designs, which make use of native ecological materials like banana fibre and pineapple silk. His pieces, which also help to support the local traditional weaving industry, have captured global attention in recent times – taking out first prize at the London Emerging Designer Awards earlier in August. Other than that Sustainable and Fair Trade UK fashion brand People Tree also blend banana fibres with materials like organic cotton to make chic jumpers and scarves. The material is basically made by extracting fibres from the stems of banana plants, which are often discarded as a waste material from the food industry anyway. So the fibres can frequently be obtained without having to grow any more trees. What's more, banana plants rarely require pesticides or fertilisers when grown in tropical climates, and are often farmed by small farmers who own their own land. To top it all off, the material is also fully biodegradable.